Our most popular spine for patient education is also our most affordable spine model. 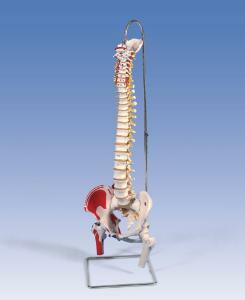 This spine model is fully flexible and designed for hands-on demonstrations. 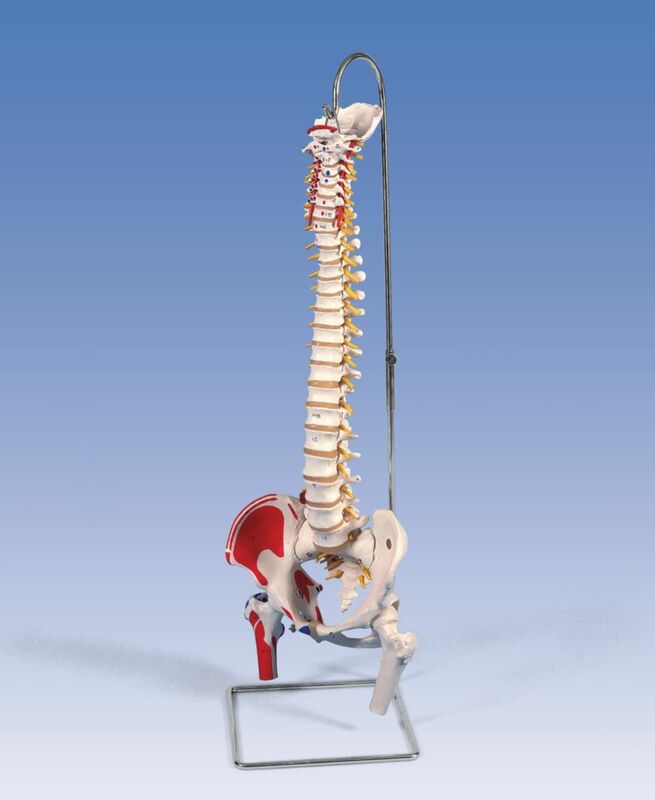 The spine contains these features: Full pelvis and occipital plate, Fully flexible mounting, L3-L4 disc prolapsed, Spinal nerve exits, Cervical vertebral artery, Male pelvis, Movable mounted femur heads. The Painted Version has all the same features as the above, with the addition of Painted muscle origins and insertions on the right side.